Household multi-function steam cleaner, give you a ‘steamed’ clean home. Bring a comfortable and healthy home to your family. Steam cleaning saves time and effort, Pure water clean, healthy and environmental protection, Deep into the gap, the sterilization rate is 99.99%. 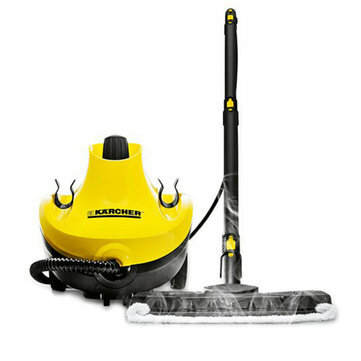 180° rotatable operation, It can help you easily clean up the whole house and make your home a new look. No need for chemical detergents, easy to remove oil. Safety Valve, Pure Aluminum Boiler, Thermostat, Fuse protection, Waterproof Case, Child Lock Function. Curved Handle, easy to hold, conwenient to receive and save space.